Zach Spurgeon was promoted to Partner at Hotel and Club Associates in 2018. He is an MAI-designated appraiser and hospitality consultant and began his valuation and consulting career with Hotel & Club Associates, Inc. in 2006. Zach has completed more than 500 lodging related assignments including appraisals, market studies, feasibility studies and tax consulting for lending institutions, developers, property owners and municipalities. Assignments have been located nationwide and concentrated in the Southeast and Mid-Atlantic regions. Property types have ranged from small independent hotels, beachfront resorts, franchised hotels (economy to luxury segment) and Bed and Breakfast/Inns. 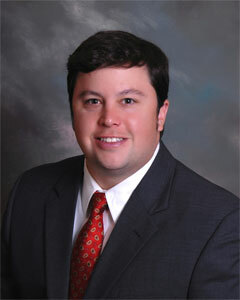 Zach graduated from N.C. State University in 2004 with a Bachelor of Science Degree in Business Management. He holds the MAI designation from the Appraisal Institute and a Certificate from Cornell University in Hotel Real Estate Investments and Asset Management. He also holds the CHIA designation (Certification in Hotel Industry Analytics) from the American Hotel & Lodging Educational Institute and Smith Travel Research. Zach actively monitors hotel publications, maintains relationships with hotel brokers and attends the annual Hunter Hotel Investment Conference in Atlanta, GA.
Zach is active with the Appraisal Institute and currently serves on the Board of Directors for the N.C. Chapter of the Appraisal Institute. Zach has also been involved with the Appraisal Institute’s Leadership Development & Advisory Council for several years. In his spare time he enjoys hiking in the mountains of western North Carolina.